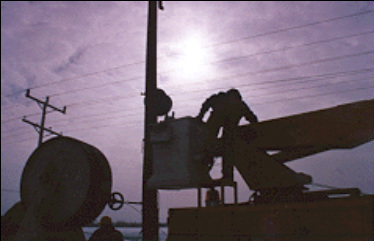 Northwestern Wisconsin Electric Company (NWE) is an investor owned electric utility which serves approximately 14,000 retail customers in Burnett and Polk counties of Wisconsin as well as a small number of customers in Pine County, Minnesota. Most of NWE’s 390 stockholders are members of the communities it serves. These communities include Balsam Lake, Centuria, Milltown, Cushing, and Frederic in Polk County, and Grantsburg, Siren, Webster, and Danbury in Burnett County. NWE also proudly serves many of the townships between these communities. NWE serves its customers with 43 full time employees who live throughout the service territory. It is NWE’s goal to respectfully provide energy and related services to serve each customer’s distinct needs. We will continue do this at the lowest price possible and with the same small town friendly service our customers have come to expect for almost 100 years. ​In December 2017, the Federal Tax Cuts & Jobs Act (TCJA) was signed into law. TCJA reduces the corporate income tax rate beginning in 2018. This change impacts all Wisconsin investor-owned utilities and their customers.